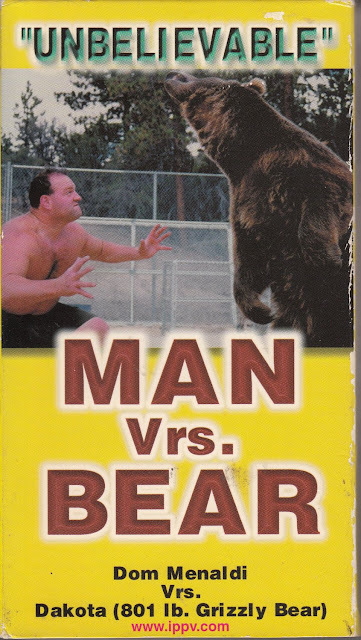 In this Century's most controversial wrestling match ever, Dakota an 801lb. Alaskan grizzly bear meets Dominic Menaldi, a 291lb. 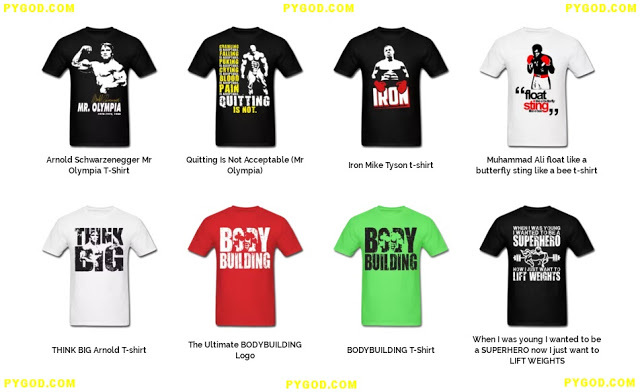 professional bodyguard and street fighter. 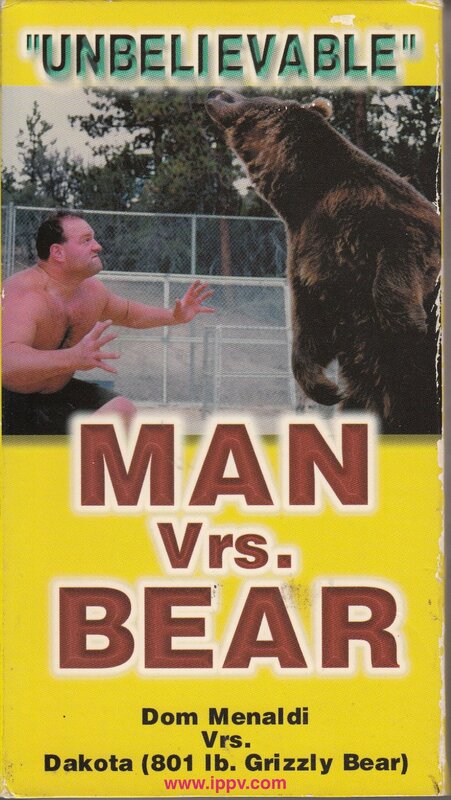 In 1999, Dominic Menaldi 6'1", 291 lbs professional bodyguard takes on Dakota the 801 lb Alaskan Grizzly bear. Dakota (The Bear) is a trained HOLLYWOOD actor. 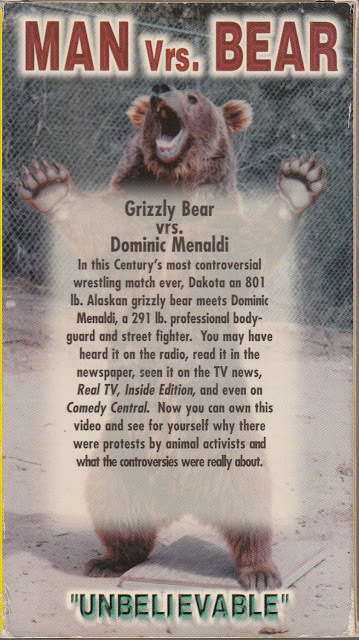 The grizzly, Dakota was and is trained by professional animal handlers and lives in Big Bear Calif. Don Menaldi, a professional wrestler and body guard, who wrestled Dakota.